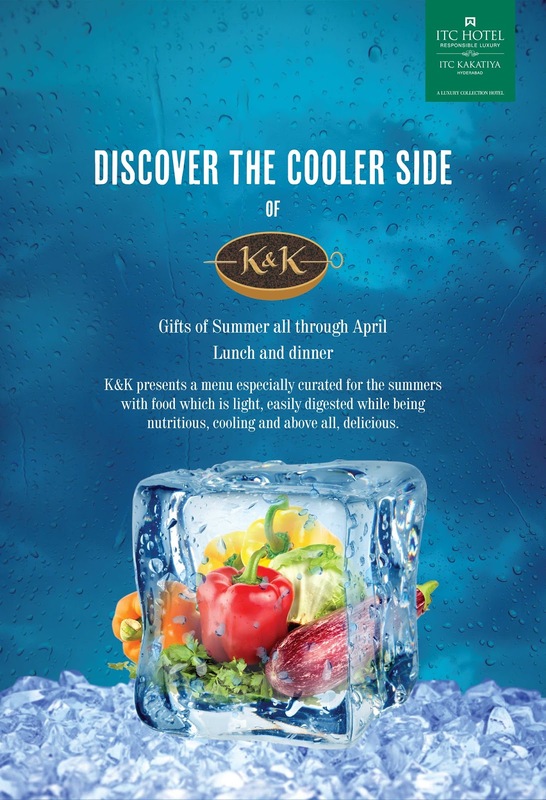 K&K is the exquisite fine dine brand of the ITC group, which showcases their deep research in Indian delicacies like kebabs and curries. 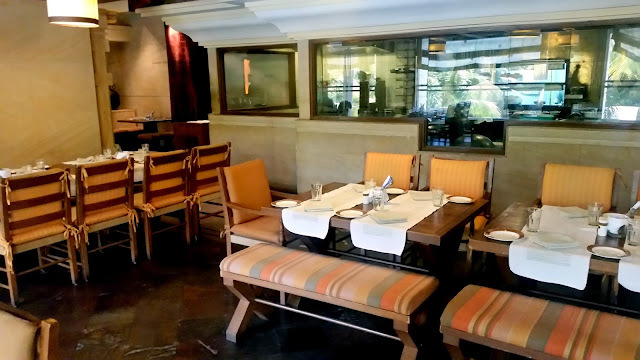 The restaurant at Hyderabad has been a regular award winner for its finest signature dishes. In this scorching Hyderabadi summer, the restaurant is organizing a food promotion named Hadaya-El-Seyf or Gifts of Summer. The festival curated by Sous Chef Amer Jamal nullifies the perception that Hyderabadi cuisine is all hot and spicy, and presents a range of dishes that can be enjoyed in even this extreme hot climate. The focus is on easily digestible food which has a cooling and relaxing effect on the body without sacrificing the taste. The Gifts of Summer festival is on throughout the month of April. 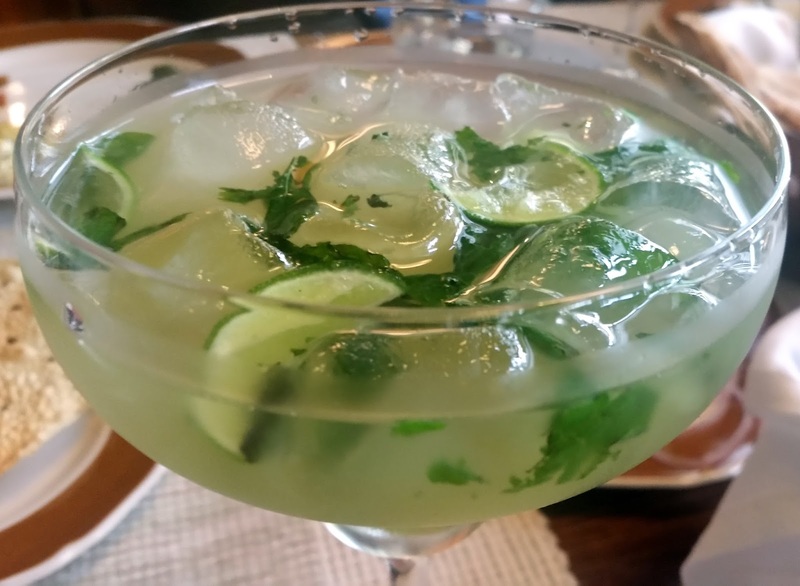 At a Blogger’s Table organized by the hotel, we were treated to Kairi ka Abshola, a soothing drink with raw mango, mint, and lemon. Stressing on the concept known as locavore, Chef Jamal explained that summer food in Hyderabad utilizes fresh and green ingredients which are available in abundance in the near vicinity. Thus, the summer preparations of Hyderabadi cuisine use tangy raw mangoes, various leafy vegetables, tomatoes, lemons and tamarind as souring agents. The idea is also to use recipes that incorporate a minimum amount of oil or spices that heat up the body; an example cited was garam masala which was absent in all the dishes. There were a range of starters served during the sit down lunch. 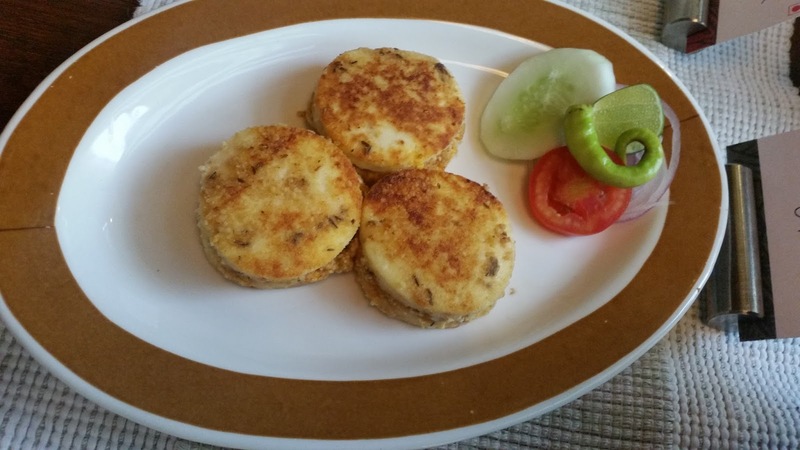 Dhoodiya Kebab was a vegetarian preparation of grilled cottage cheese stuffed with potatoes. A simple and delectable dish to start with. Kairi aur Murgh Ke Kebab was a dish I had not heard of; the soft skewered chicken with a marinade of raw mango and yoghurt this was one of my picks for the day. 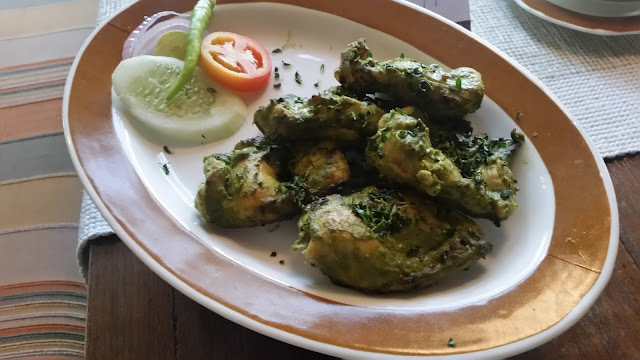 Another chicken starter was Methi Murgh Ka Kebab, where fenugreek leaves have first been blanched and curried with yoghurt and then applied on the chicken. 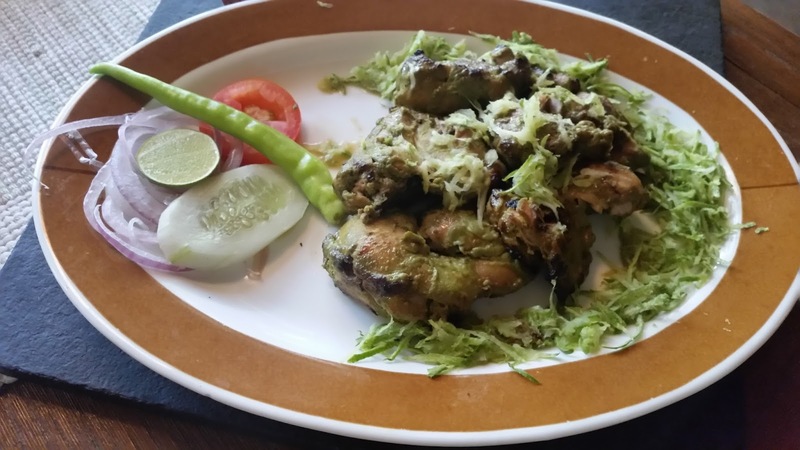 The kebab had retained the methi flavours and the tanginess was provided by lemon. 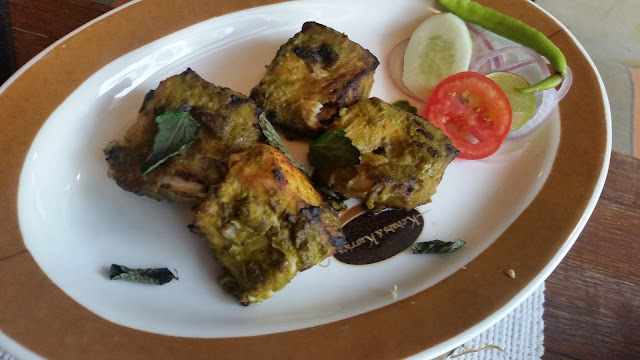 For the fish lovers, murrell was on offer as Mahi Haryali Tikka. 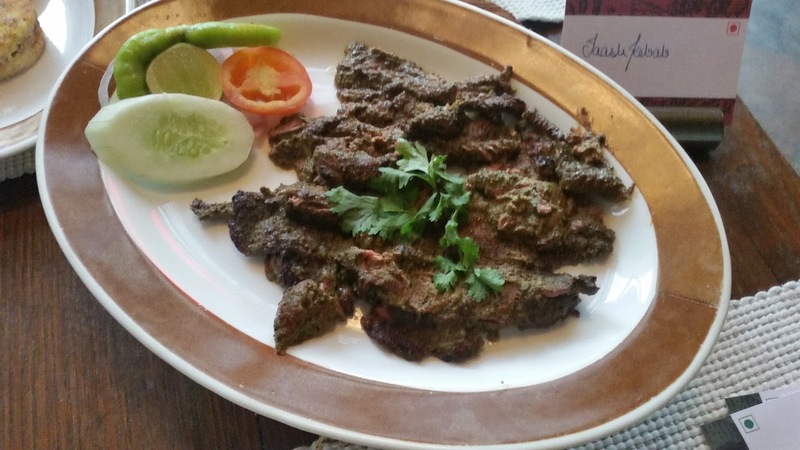 Taash Kabab seemed to be a favourite dish of the Chef. 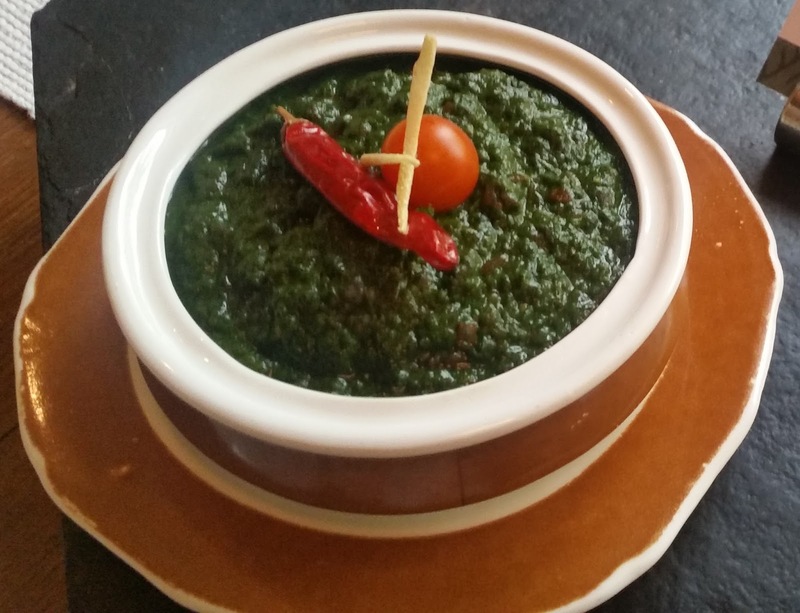 He told us that it is similar to a less spicy version of the famed Patthar Ka Gosht with a green masala, but instead of preparing on the stone, this preparation is steamed. Again here, the spice quotient was very low, and the lamb was cooked in its own juice, giving a delicious taste. Tala Hua Gosht was perhaps the only dish on the menu which used a bit of oil. The vegetarian main courses were both food for the soul – Deccani Saag which had sautéed palak with garlic and chillies, whereas Dakhni Kadhi had onion dumplings in dahi and besan. Both went well with steamed rice. Hyderabadi Bagara Khana or spiced rice was served with Kaddu Ke Dalcha, but I loved it more with Tamatar Murgh, chicken prepared in tomatoes, yoghurt, and red chillies. The bagara rice was a perfect foil to the tanginess of the chicken dish. The best dish to enjoy with rotis was Chuggur Gosht, a lamb dish cooked in a tamarind masala. Ambada Jhinge or prawns in roselle leaves and fresh tomatoes was something we tried at the end. Seafood like prawn typically heats up the body, but here the tangy preparation ensured that it does not have the desired impact, overwhelming the seafood taste in the process. I like my prawns with strong flavours – this dish was a miss for me. 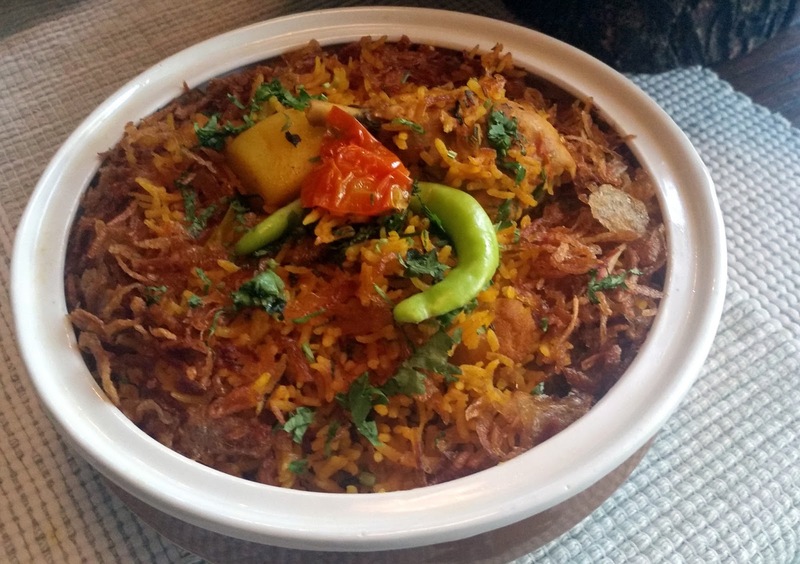 Chef Jamal’s insight of Hyderabadi cuisine is so thorough that it is a treat to talk to him about the local cuisine. Over some delightful Murgh Aloo Ki Tahiri, I listened to his perspective of the rice and meat dishes of Hyderabadi cuisine. The tahiri had minimum spices, and tomatoes, green chillies and coriander leaves enhanced its taste. If you note, almost all the dishes in this promotion have a fair share of souring agents, which are established ingredients to cool the body. 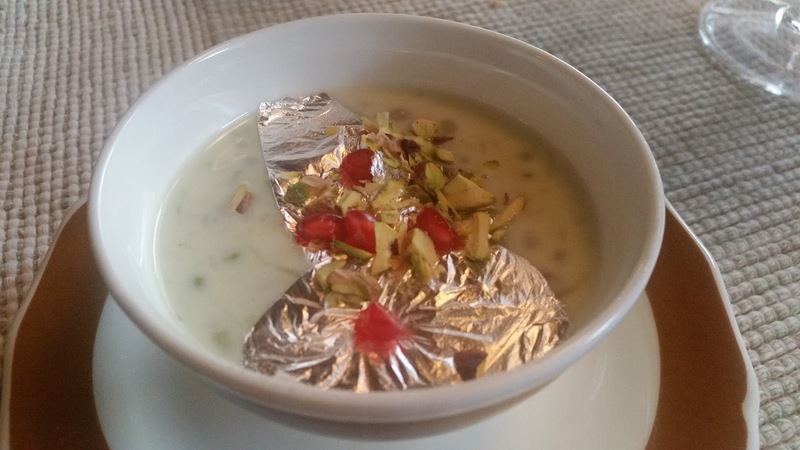 The dessert was a fitting finale to the meal – Kaddu aur Sabudana Ke Kheer where grated bottle gourd, sago and reduced milk and garnished with rose petals, combined together to a brilliant taste, which impressed even a person like me who is averse to sweets. Hadaya-El-Seyf is a very well thought of festival with some really great dishes. 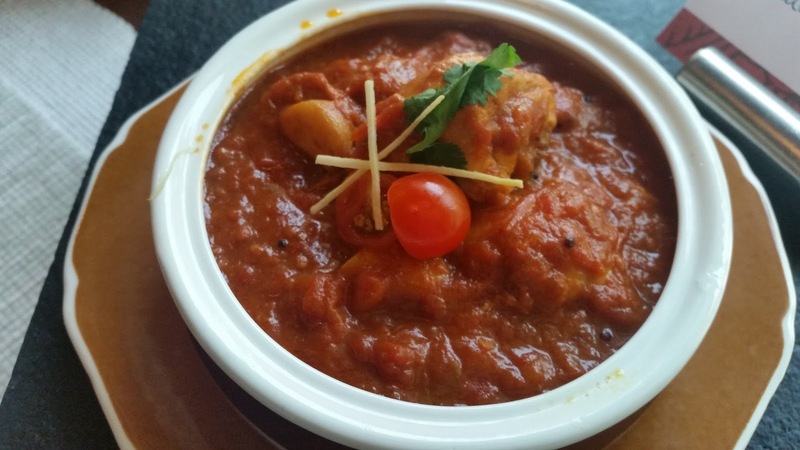 Any person passionate about Hyderabadi cuisine will find it very interesting, especially to see how the meat dishes are adapted for the summer. Most of the dishes are a bit tangy, so people who do not like that kind of food may find themselves a bit out-of-sync. 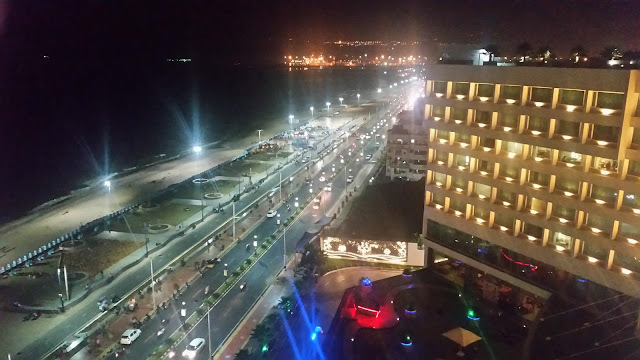 The festival is a-la-carte and for two persons it may come to Rs 3000 plus taxes.